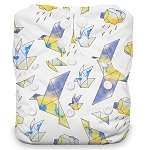 Super absorbent core and stay dry inner layer keep moisture away from your baby's delicate skin, leaving it cool and dry. 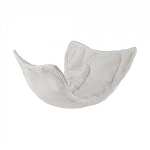 Unique pull-out tab system makes removing the core from inside the nappy as simple as possible - this improves washing performance and speeds up drying time. 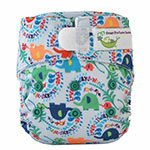 Stay soft fabric remains soft wash after wash, providing the most comfortable nappy for your baby's bottom. 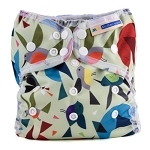 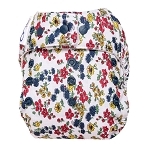 An all in nappy with some great features, so it is not hard to see why it is a award winning nappy. 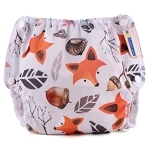 It is a one size nappy so there is no need to buy different sizes, the rise (height of the nappy) can be adjusted by poppering the snaps on the front of the nappy to the required size while the velcro waist fastening gives the correct fit. 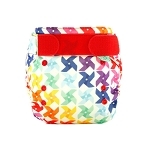 stay dry inner layer keep moisture away from your baby's delicate skin, leaving it cool and dry. 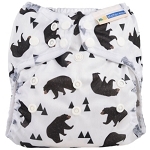 My favourite diapers at the moment (a toddler with 19 months). 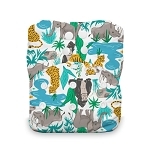 I send them to school for nappy time with a bamboo insert by Littlelamb.